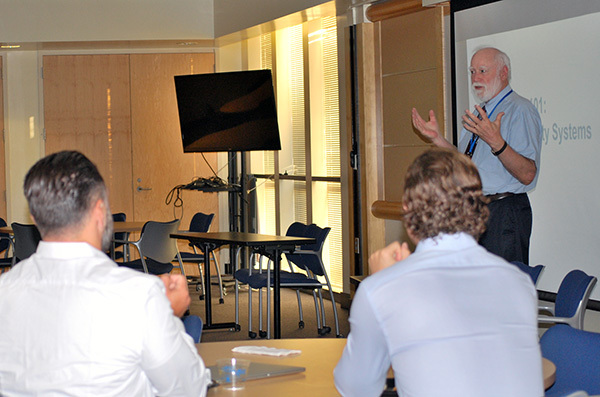 New faculty members are learning the ins and out of San Jose State with a new program titled “University 101.” Dennis Jaehne, who formerly served as the associate vice president of Undergraduate Studies and interim deputy provost, is coordinating the program and curriculum for the professors. For the program, faculty members are invited to attend four workshops that are two hours each, with an optional workshop each month. The topics range from student demographics and the admission process, Academic Affairs processes, budget and shared governance. “The session on curriculum requirements helped clarify some of my questions and highlighted some policies I was unaware of,” she said, via email. Golloher said she would recommend the program to other new faculty and said she would suggest including information on parking/permits for future cohorts in an early session. Ellen Middaugh, another professor in Education with the child and adolescent development department, said the program made her feel valued to know the university is making an effort to support her transition to the faculty. New faculty members who attend all the monthly sessions will receive a stipend of $1,000 to use toward professional development, professional travel or equipment, with those attending 75 percent of the workshops receiving $750. Dennis Jaehne, front right, welcomes new faculty members to University 101.